Mani Ratnam is back with one more light hearted love story 'OK Kanmani', which is filmed based on a true story. Mani Ratnam, who also happens to be a connoisseur of romance directed one of the biggest and most popular love stories Tamil cinema has ever seen such as 'Pagal Nilavu', 'Mouna Ragam', 'Roja' and 'Bombay' and 'Alaipayuthey'. In that list, 'Alaipayuthey went on to capture the hearts and minds of an entire generation as the film has had a massive cultural impact on the Tamil society. 'Alaipayuthey' which released 15 years back on April 14, 2000 went on to become one of the biggest blockbusters of all time. 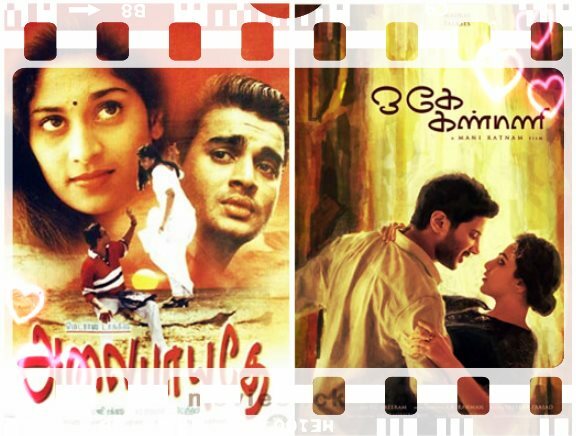 Now, the ace filmmaker is planning to release his upcoming Tamil movie 'OK Kanmani' on Alaipaudhey release day. Dulquer Salman of 'Vaayai Moodi Pesavum' fame and Nithya Menon have played the lead roles in OK Kanmani that casts Prakash Raj, Kaniha and VJ Ramya in important roles. Music director AR Rahman and cinematographer PC Sreeram among technical crew. OK Kanmani is in last leg of post-production works. The movie has six songs composed by A R Rehman. P C Sreeram wields camera for the film. Prakash Raj, Leela Samson, and Kaniha also do prominent roles in the movie. OK Kanmani will have a simultaneous release in Malayalam and Telugu languages.